BAFTA-WINNING wildlife television presenter and writer Steve Backshall will provide a fascinating insight into his breathtaking expeditions at St David’s Hall on Sunday 15 November. From the Tundra to the top of the world’s highest peaks and down to the depths of the ocean, Steve’s done it all! And now you can join him on a journey from the Artic to the Antarctic as he takes us on a tour of the courageous voyages that inspired his novels The Falcon Chronicles. It’s an exhilarating trip accompanied by photos and films, which are guaranteed to delight all wildlife enthusiasts of all ages from eight to eighty! Watch with amazement as Steve shows footage of himself dangling beneath a helicopter into a crocodile’s nest, free-diving with great white sharks, swimming under Antarctic icebergs alongside leopard seals and catching the most venomous creatures by hand! Elsewhere, you’ll be captivated by his ascents of vast jungle mountains, the discovery of new species and exploring of undiscovered cave systems. This tour accompanies the paperback release of the third of his Falcon Chronicles fiction novels, plus the release of his adult non-fiction book Mountain: My Life on the Rocks. Steve is best known for his CBBC series Deadly 60 and throughout his career he’s been brave enough to come face to face with some of the most lethal predators on the planet! 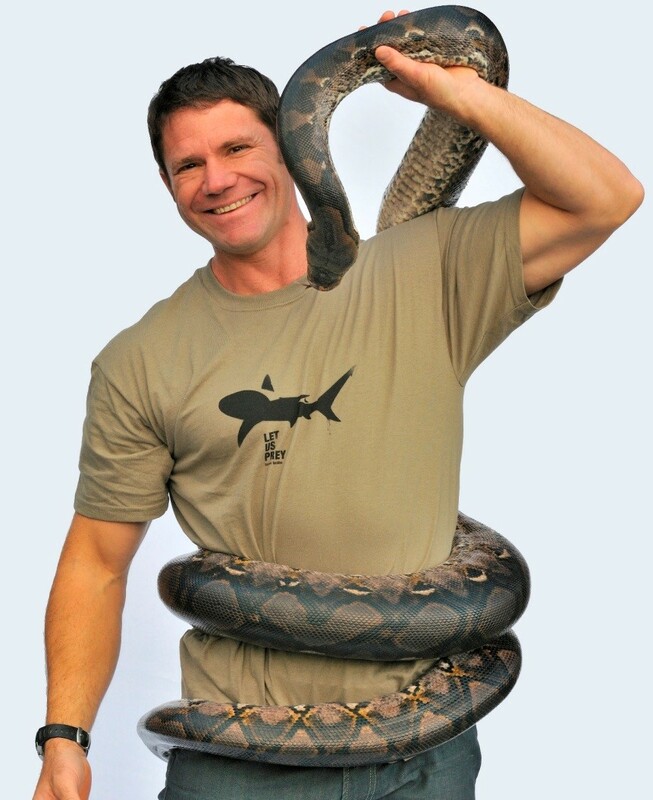 Experience the extraordinary Steve Backshall speaking about his incredible travels live at St David’s Hall! £3 off for Standard Concessions. Live animals will not be featured in this show. Parents are advised that the content might be challenging for very young children. There will be no book signings as previously advertised.